In 1963, smooth jazz crooner, Andy Williams, released his first Christmas album, The Andy Williams Christmas Album too much acclaim and his name has been synonymous with the holiday season ever since. As good as it was it can’t compare with what he followed up with in 1965. Andy’s Merry Christmas album focused exclusively on 20th century compositions, unlike its predecessor, with one side focusing on more traditional pop and secular holiday fare. 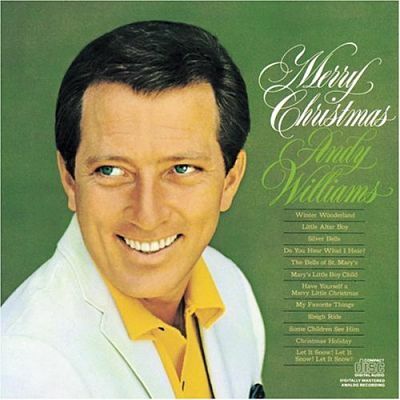 For a generation of baby boomers and even early generation X-ers, this is the quintessential holiday album because of its mainstream production, in addition to years of Christmas specials on television that featured Williams and his family. Andy’s wonderful voice is so smooth, joyous and brilliant on these 12 tracks. Although all of the songs were previously released by other artists, his voice and Robert Mersey’s sweeping and lush production make this album a complete holiday original of their own making. Layered and spiced like a fine, yuletide fruitcake, this piece is merry and jingly yet, at times, melancholy and dark. The breezy opening of “Sleigh Ride” and it’s “jing-a-ling” background vocals make you feel the cold, brisk, exhilarating air of winter cheer. Williams‘ satin-like voice also gives us a very dark rendition of “My Favorite Things” from The Sound of Music and turned this non-holiday oriented song into a Christmas standard. The exciting arrangement, swelling vocal performance and cheerful lyrics by Craig Vincent Smith on “Christmas Holiday” make this song one of the most truly original on the recording. When Andy belts out the line, “I’ll give you my present, a wedding ring! Here me sing!,” it sends chills up your spine and is surely responsible for many a yuletide proposal, including my own on Christmas Eve of 2002! A very exciting ending for the first act of this album. The second half of the album is a little darker while still being very inspiring and spiritual. The beautiful, “Some Children See Him” has powerful and moving lyrics that explain how children of any nationality can imagine Christ to be just like them and that love is more important than any claim of race or nationality. Easy stuff nowadays but, in 1965, this was very provocative stuff and Williams gives a tear jerking performance that starts at a whisper, crescendos to a cannon burst and then back again. This, like “Christmas Holiday,” is his song only! 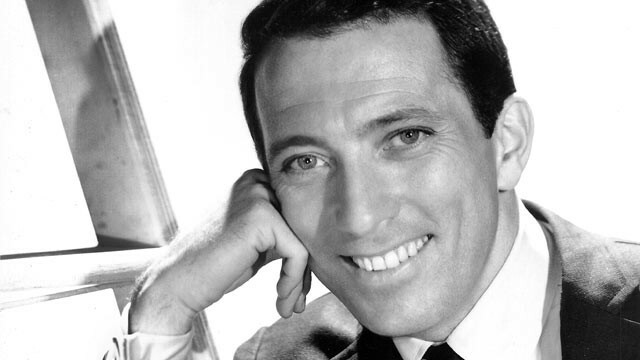 Andy Williams passed away in 2012 but he left us with years of joy with his many different holiday albums and television shows. He will live on forever in our Christmas memories with his fantastic and original voice and I would suggest getting any material by him. That having been said, Merry Christmas is perhaps his finest recording, no matter what time of the year it is! Here are more Christmas albums that we’ve written about.